How can we help make your Orlando vacation even more magical? Click the links below in our menu of vacation enhancing products, rentals, and services that will help make your trip more affordable and stress free. To subscribe to our monthly newsletter for deals, information and theme park news, click HERE. Don't lug your stroller onto the plane! Let us deliver a super clean and affordable stroller to your resort with FREE delivery! We offer singles, doubles, GT's and sit-and-stand models. Our prices average 15-20% less than other providers! ​An Orlando for Families private guide is an affordable luxury! We take care of the planning and provide a professional guide who knows the parks inside and out. Throw out the park maps and let an expert lead the way! Take the guess work out of planning your days at the parks! Our Day Planning service provides you with a Disney Expert and all of the assistance you need including a customized itinerary to make for magical and stress free park days! While you're here in Florida, why not take the family for a beach day! We can deliver your gear the evening before and pick it up when you're done. Simple! We include chairs, an umbrella and beach toys for the best beach day ever! Our baby and kid's gear rentals provide comfort and convenience for your little ones while on vacation. If your resort doesn't offer these items or they charge too much, order from us and receive free delivery! The easiest way to get EXACTLY what you want and from your choice of store has never been easier. Just give us a list and let us know if you have a store preference and we will deliver on YOUR schedule! Order your set of current park maps and get everyone excited for vacation! In this digital age, there's nothing like an actual map that you can hold in your hands. Don't wait until you get to the parks, get your maps mailed today! Think of us as your personal assistants while you're on vacation! Leave something at the airport? Need to pick up your medications? Need help moving from one resort to the next? Your personal concierge is standing by! Don't forget the celebration when on vacation! Our birthday package includes decorations, a cake, 6 helium balloons, and all of the necessities for the perfect in-room celebration! We have standard, Mickey, Princess & more themes. 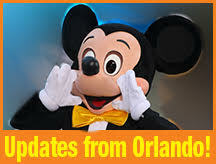 Orlando for Families is a licensed receptive tour operator and complete vacation services company. We assist all vacationers and convention guests with a multitude of products and services to help make their trip more magical and stress free. Everyone from our office staff to our private guides, shoppers, delivery drivers and concierge are ready to assist with kindness and attention to detail. Vacationers: Whether it's your 1st trip to the area or your 50th, let us help out so that you can focus on having fun while we take care of the details. Click on the photos above that serve as your vacation necessities menu. Choose the products and services that best fit your families needs and then relax and get ready for the vacation of a lifetime! Travel Agents: Please click on the Travel Agents link to be directed to your page. Orlando for Families can provide the services that your clients need after they book their trip. Create customers for life when they go from having a good vacation, to having an exceptional experience! A note from Kim: I sure wish there was a service like this when I was planning trips with my family many years ago before we moved to Orlando! The maps found online are great but there is a little bit of magic in holding a park map in your hands in anticipation of an upcoming dream vacation. Not only are the park maps great for studying your routes through the parks and locating all of the 'must do' attractions, but they can also be great gifts to help surprise someone with a trip to Walt Disney World - include them with a card or in a gift and watch their eyes light up! And really, Disney World maps are just plain awesome to have! We are offering 2 different options to order your maps. 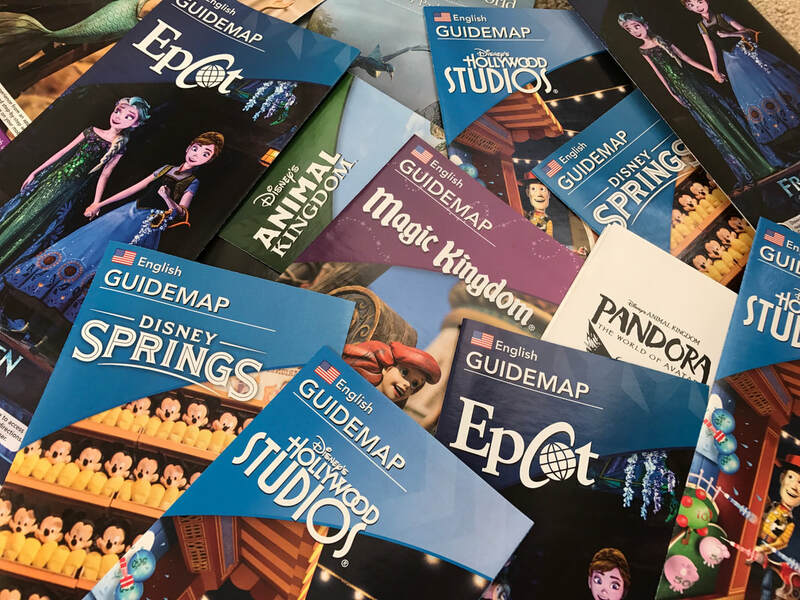 We can send you just the maps for the Magic Kingdom, Epcot, Disney's Hollywood Studios and Disney's Animal Kingdom or you can order a larger package with more magic inside! Stay on top of breaking news, get insider tips and tricks, hear about the vacation deals first, and put a little fun in your day by liking our Facebook page! We are even known to run a contest from time to time. Expert Tips, Helpful Information and Honest Reviews! There is so much to see and do (and EAT!) 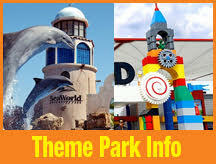 around Orlando and the parks, maybe that's why we are the #1 family destination in the world! There are however, some not-so-magical experiences and we're here to provide honest information and reviews on restaurants, resorts, rides, events, and so much more. Check out our Magic Report and be informed! Many travel components and services through most travel companies and suppliers are non-refundable at some point and travel insurance is the best way to protect your investment. Whether you travel domestic or abroad, TravelSafe will help you cover your trip and protect you once you’re there. Orlando for Families is licensed to recommend and sell TravelSafe Insurance and while this insurance can cover against any non-refundable fees that we may have, you do not need to have purchased any products or services from Orlando for Families in order to purchase your travel insurance with us. ﻿"I want to thank the staff at Orlando for Families for helping me out with my Disney World vacation. It was our first time traveling to Florida and I had no idea what I was doing. I booked my vacation online with Disney and didn't know what comes next. I called up Orlando for Families office and she answered every question I had. We used several of their services including grocery delivery and babysitting. It was not expensive at all and it saved us a lot of time. I am so glad I made the call to them and I will be using their private guide service the next time we come, we are really excited for that!"